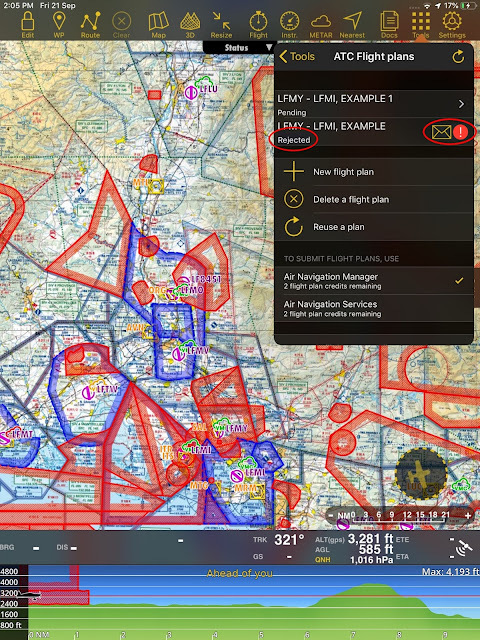 We have updated the ATC Flight Plan feature to help you lessen your time when it comes to flight planning. You now have more choices on which flight plan would best suit you. You can now create your flight plan within the Air Navigation Pro app. All you need to do is fill out all the details needed for a flight plan then tap on submit. Remember to connect to your account. We also made sure that Air Navigation Pro is helping you out with every flight plan that you make and we wanted to make sure that you won't miss any details needed for your flight plan. If you tap on submit and there are still details that are missing, the Air Navigation Pro app will not allow you to submit. A pop-up notification will inform you that there's are still parts missing and these missing parts will be highlighted with red. 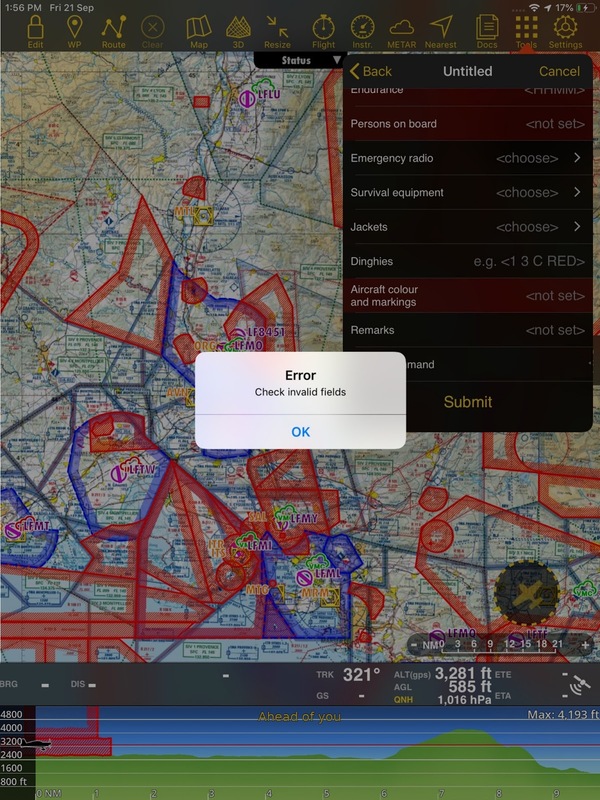 Also, if ever your entered the wrong type of aircraft, the app will not allow you to submit and will inform you that there's an error so you can still redo your flight plan before submitting it. Our ATC Flight feature gives you the option to delete stored flight plans. There are two ways to delete your flight plan. If you want to quickly delete a flight plan, select the flight plan you want to delete then swipe left, an option to delete the flight plan will show then tap on 'Delete'. If you want to delete more than one flight plan, go to the bottom of the ATC flight plans tab, then tap on 'Delete a Flight Plan', and it will allow you to choose which flight plans you want to delete. You can even choose to reuse a flight plan that you've previously submitted and keep flight plans as draft if you're still unsure of the details to put in. Another change that we've added are new options so that you can choose what type of flight plan will suit well with you, and we're here to break it down for you. 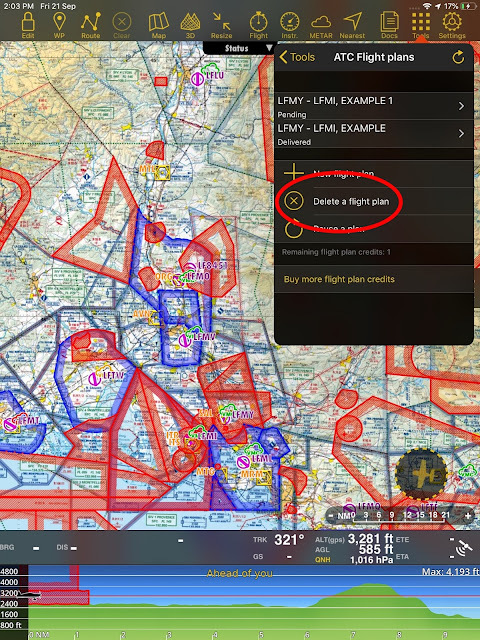 With this new update, submitting a new flight plan will show you options to choose whether you want the Standard Flight plan or if you prefer the Premium flight plan. So what the difference between the Standard Flight plan and the Premium Flight plan? Let's start with the Standard Flight plan. It's our cost effective offer, specially designed for those simple and non-complex flight plan. For only €1.09, you can already file for a flight plan. You can also purchase the Standard Flight plan in bulk, depending on how many you think you need. Once you submit your Standard Flight plan, it gets sent to EuroFPL, then their algorithm will read your flight plan. If you file a flight plan for VFR, you won't be receiving any notification, but if you file a flight plan for IFR, after submitting, within a short period of time, you'll receive an email and a direct notification on the Air Navigation Pro app to inform you that your flight plan has been received. Now, for the Premium flight plan. Our premium flight plan is designed for pilots that want to save time. After you submit your flight plan, it is sent to SkyGuide. For €10, what SkyGuide does is that an actual human who is professionally trained to check flight plans will read your flight plan thoroughly. Also, the premium flight plan is for one time purchase and you need to use it right away as soon as you purchase it. One thing you also have to remember, even the slightest inconsistency in your flight plan can be the reason why it gets rejected. The great thing about the Premium Flight plan with SkyGuide, since it's a human that's reviewing your flight plan, they'll find the possible errors and then they will correct your flight plan. 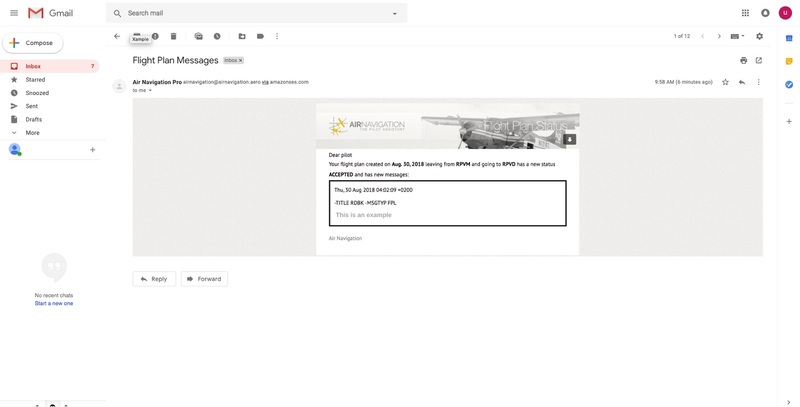 After that, they will send you the corrections and submit your flight plan correctly. This will allow you to save so much time when it comes to flight planning! After you submit your Premium flight plan, it will show a pending status while SkyGuide reviews your flight plan. The pending status will show under your flight plan. For those that have Air Manager, you can also synchronise your ATC Flight Plans to your Air Manager. All you need to do is activate your Air Manager. So, have you decided which flight plan is best for you? 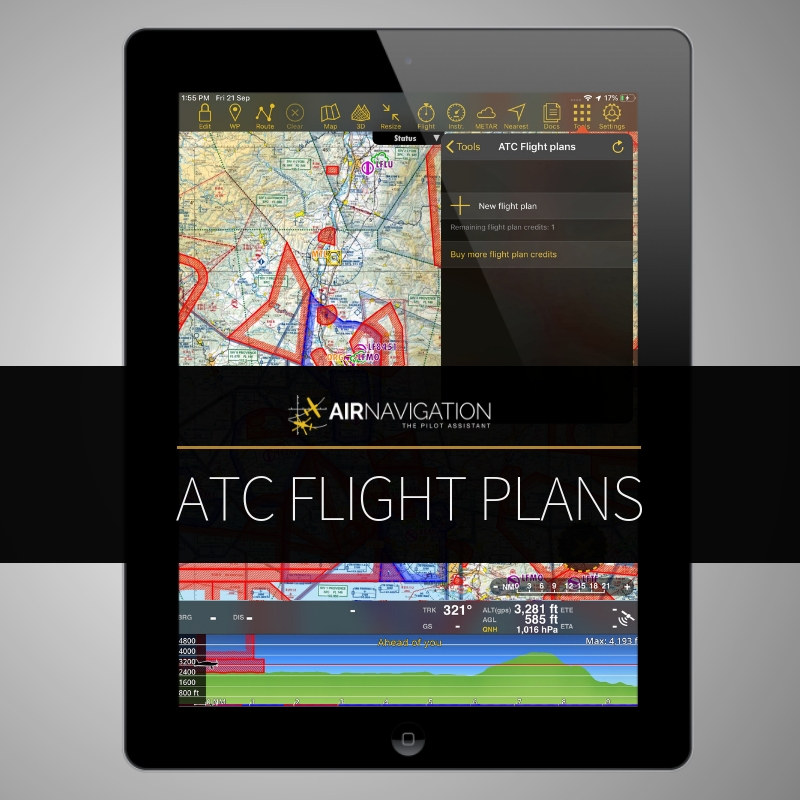 **The ATC Flight Plan and synchronizing your ATC Flight Plan to your Air Manager is only available for the iOS version. Need help? Check out our Frequently Asked Questions (FAQ). If you have questions that are not found in our FAQ, please don't hesitate to reach out and contact us here. and check the manual for additional details on how to use the new features.